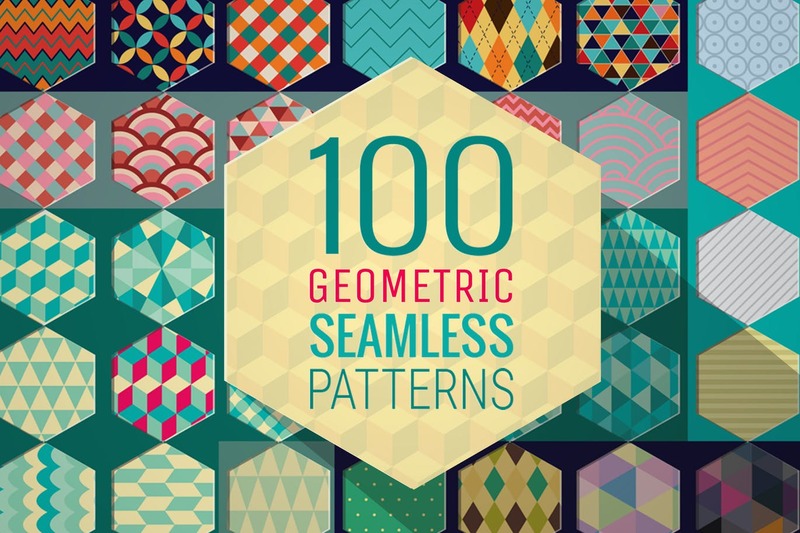 In this roundup, we bring to you more as 30 handpicked seamless and tileable patterns. The choices are plenty – you can take your pick from fabrics, geometrical shapes, grunge, or simple lines! Your search stops here. 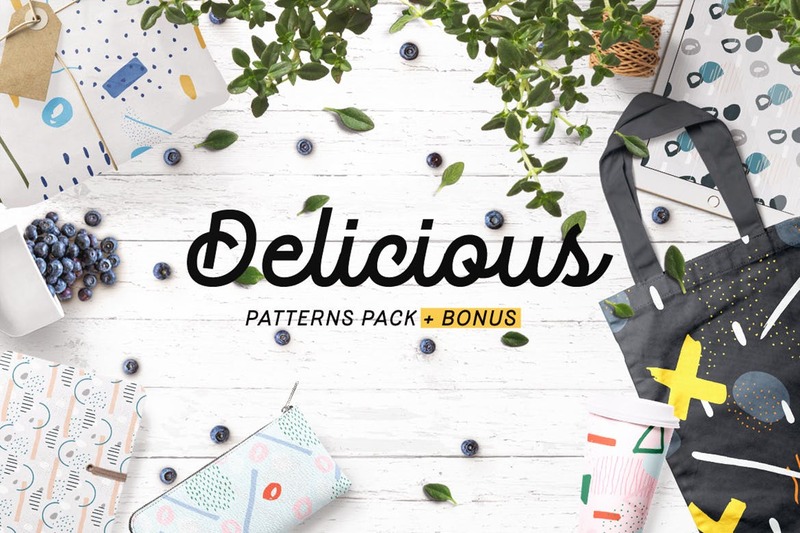 This collection includes premium items from Envato Elements (where you get unlimited downloads for a single price). 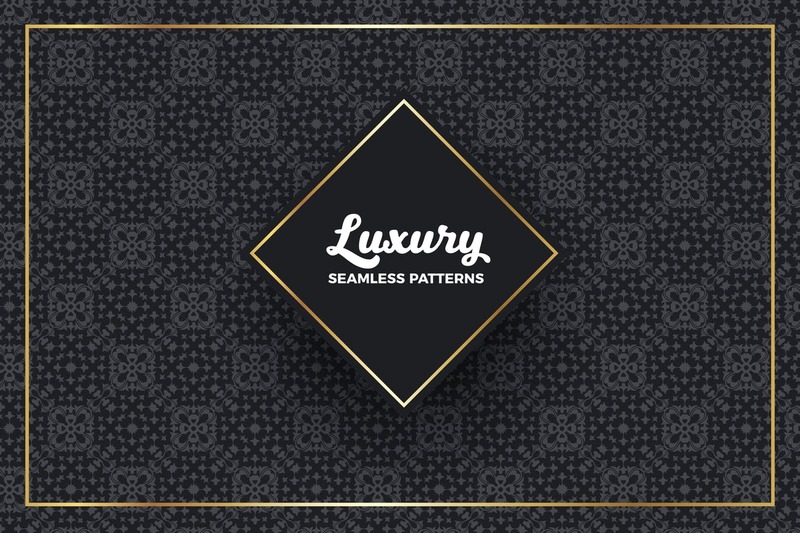 Have a look and see if you can find a pattern suitable for your project. 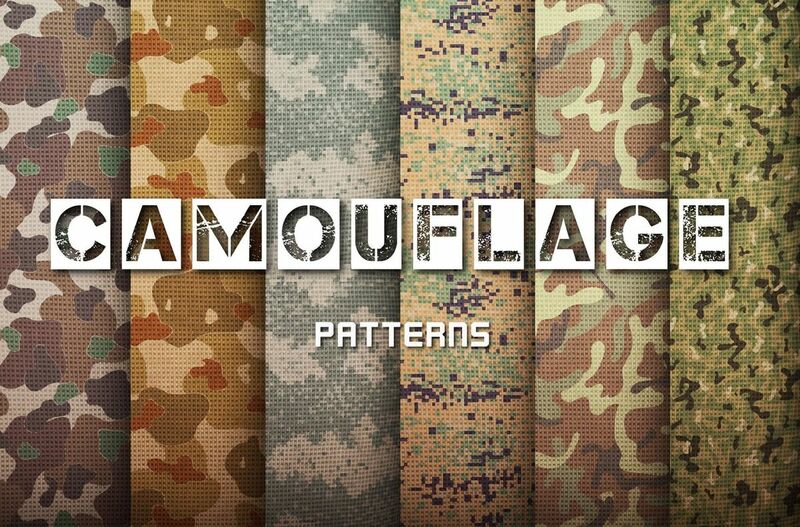 All patterns are made on the basis of real camouflage US armed forces in different years. Useful to decorate web designs (banners, backgrounds) as well as print designs (cards, wrapping paper) or textile (t-shirts, cushions), etc. These patterns were so much fun to make! They are happy and ready to party, just get creative and use them in any project. 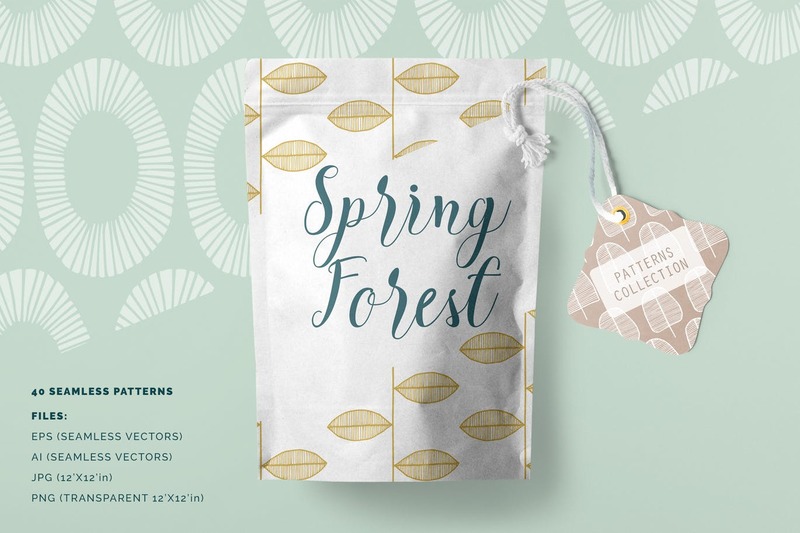 They are ideal as backgrounds for (of course) Party Invitations, but also Wedding Invitations, Packaging projects, Fashion projects, Online Blogs, crafts, Branding projects and so much more! And they can be scaled up with no loss in quality! So easy to customize with endless creative outcomes! Use them as background for Business Cards, Wedding Invitations, Packaging projects, Fashion projects, Websites, fabric, crafts and so much more! 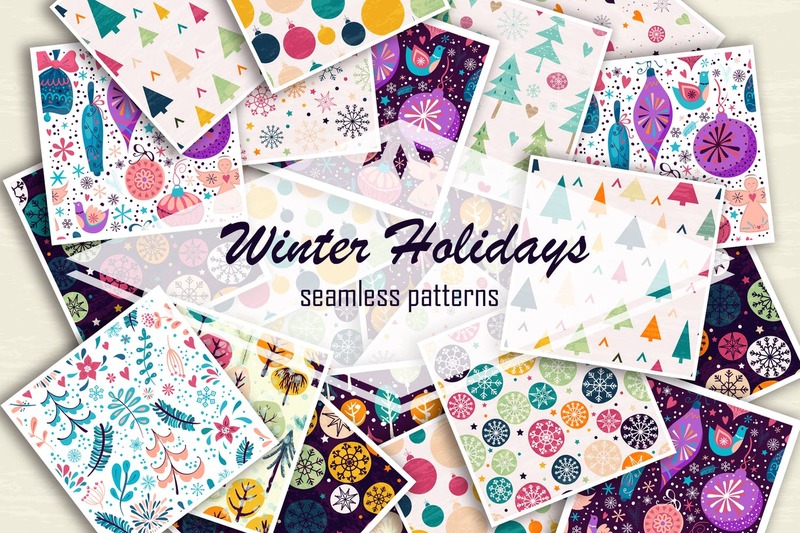 Vector collection of hand drawn Winter holidays seamless patterns for your design. Can be used in greeting cards, stationary, invitations, stickers, art prints, labels, web design, calendars, posters, textile, fabric, logos, packaging and what ever else you need to prepare for the most wonderful time of the year. 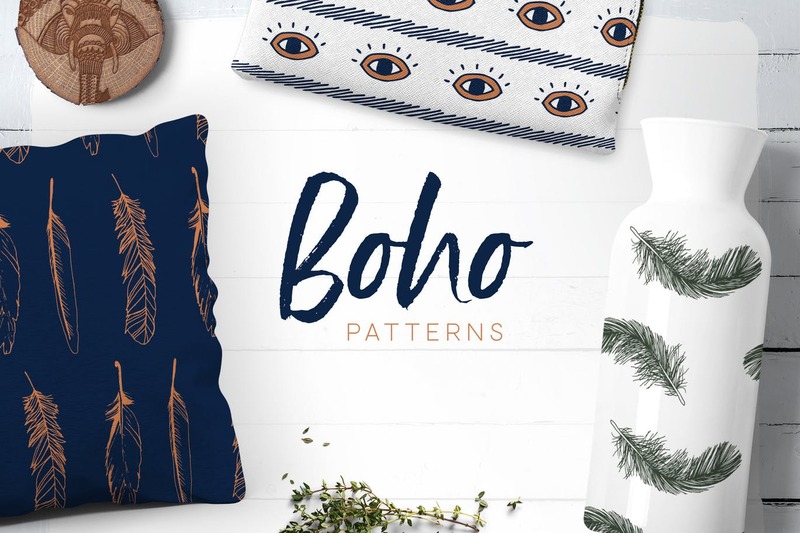 Bright Boho Patterns contain illustration, templates and boho seamless patterns with bright feathers. Prepare for a nostalgia strike from the past, because I’m about to bring you the most radiant and love-spreading designs I’ve ever released! 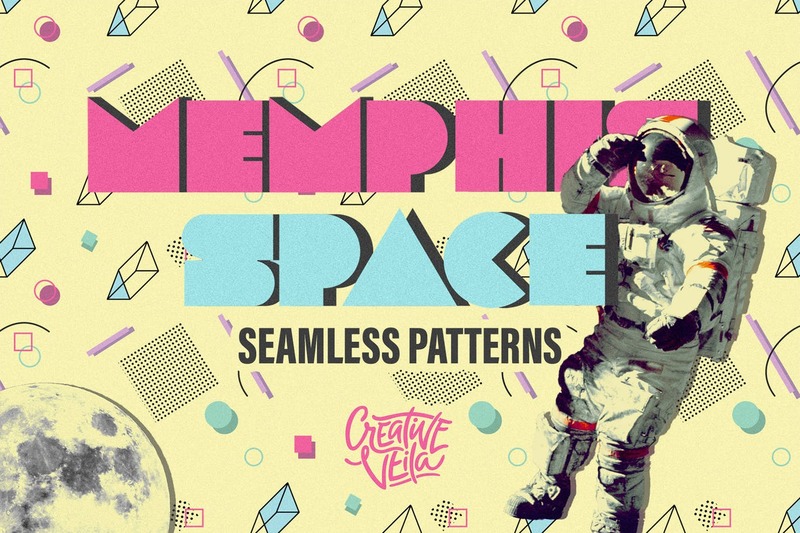 Get a set of seamless vector patterns featuring the spirit and the freedom of Memphis style. 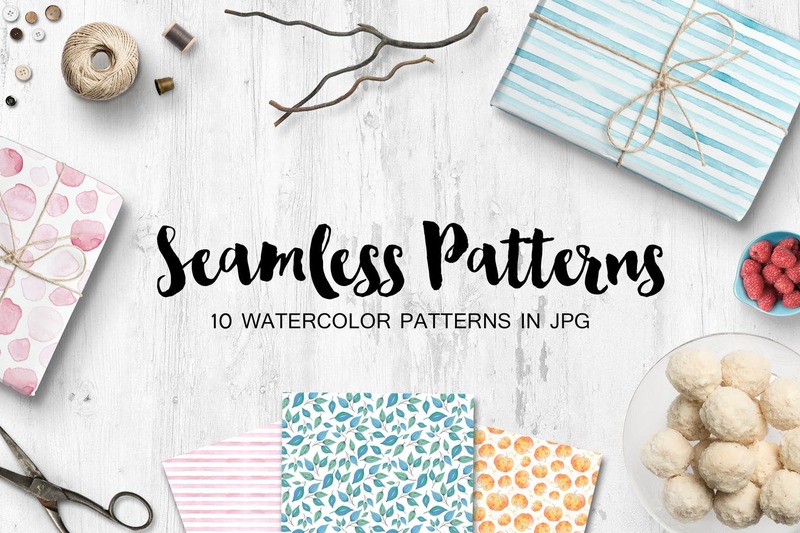 This pack of 10 seamless watercolor patterns/backgrounds/papers/textures is perfect for packaging, scrapbooking, web design, stationery etc. All images are high resolution, seamless, squared. They are fully editable (through Adobe Illustrator) and all elements are vectors. 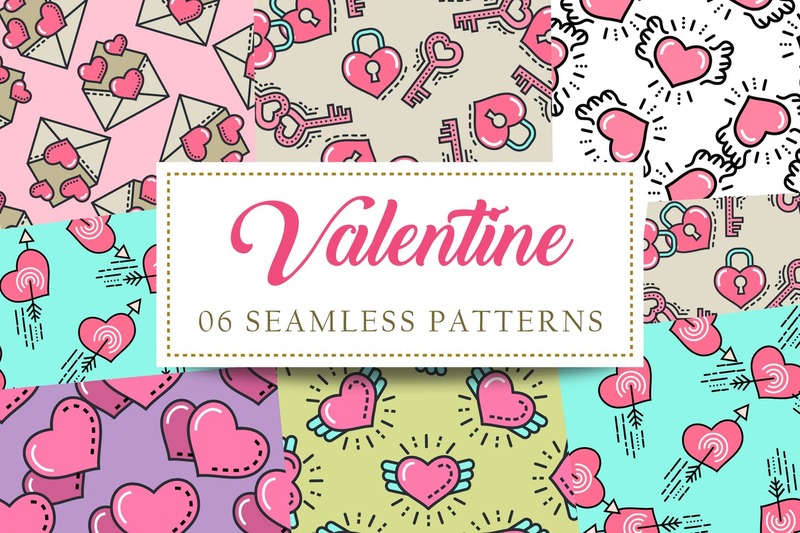 You can select and use them separately if you like or even create your own unique patterns by mixing the handdrawn elements of this set! Of course you can also easily change the colors to suit all your projects! 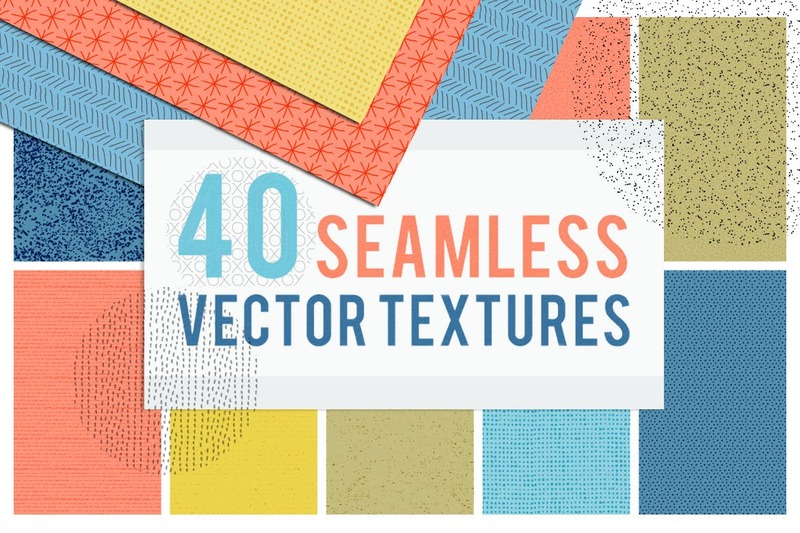 This is a fantastic handcrafted set of seamless vector textures. 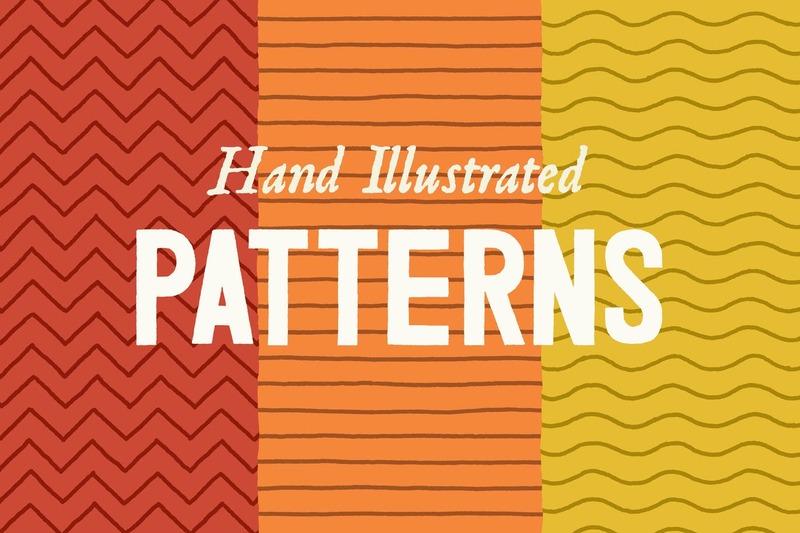 40 unique patterns, including stipple effects, fabric, doodle patterns, hatching and more. Black on a transparent background to overlay onto your designs. 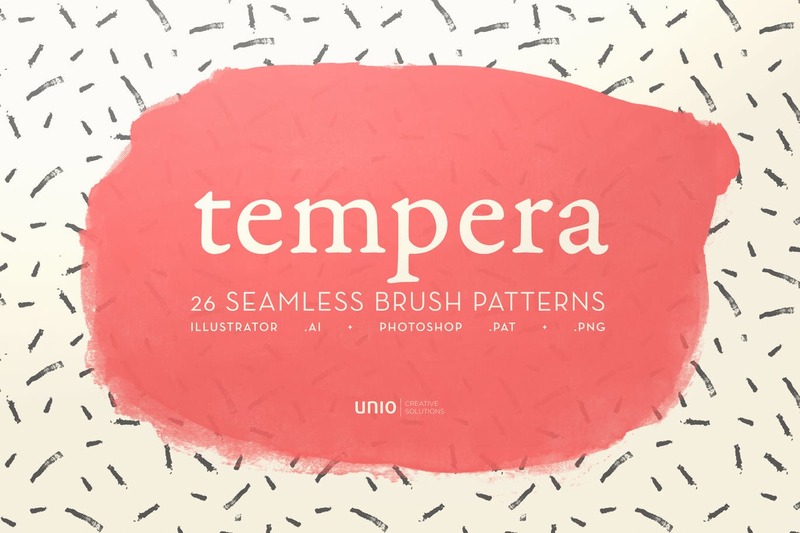 An essential collection for your design toolkit. 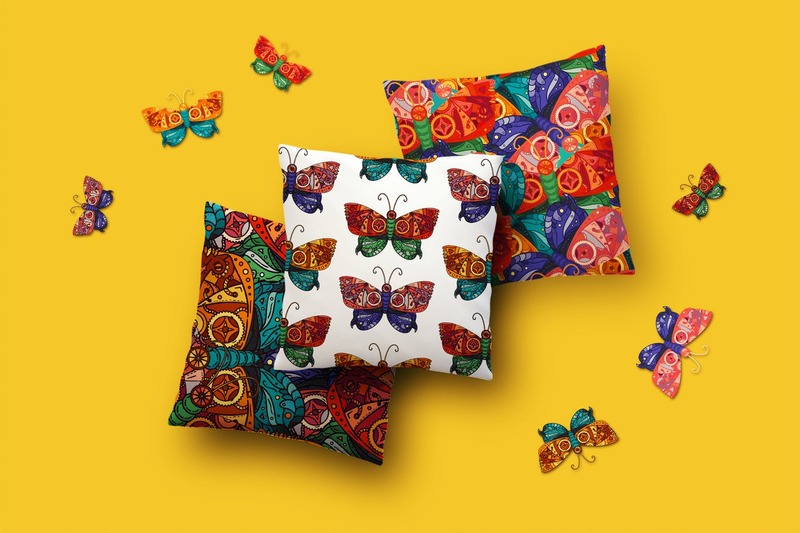 Steampunk Butterfly Patterns Set contains 8 vector stylish seamless patterns from butterfly and butterfly illustration in 3 color themes and 3 views (stroke, fill, stroke+fill). Vintage techno ornaments are ideal for print, clothes, tattoo, greeting, poster, t-shirt and otner design about fantasy, futuristic, high-tech, machine and sci-fi. 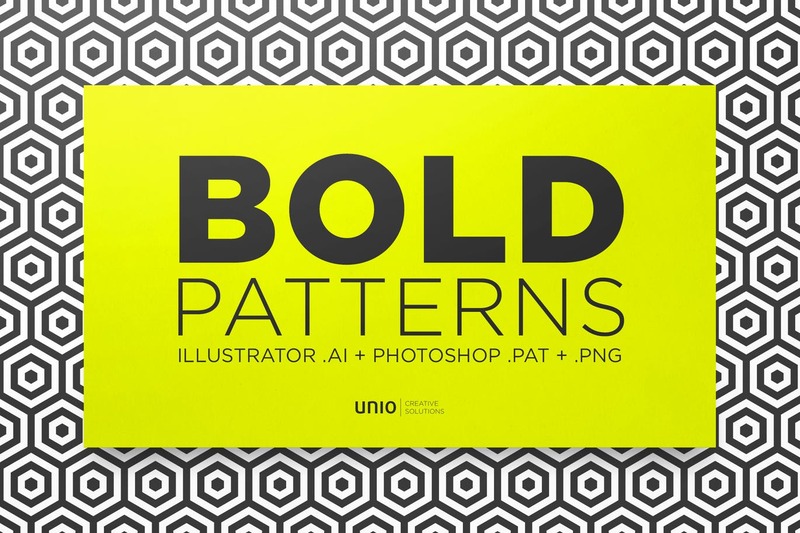 You can use Adobe Illustrator or any other vector program to edit the .AI and .EPS files included in this package or you can use Photoshop to edit or apply the JPEG pattern squares also included in this package! 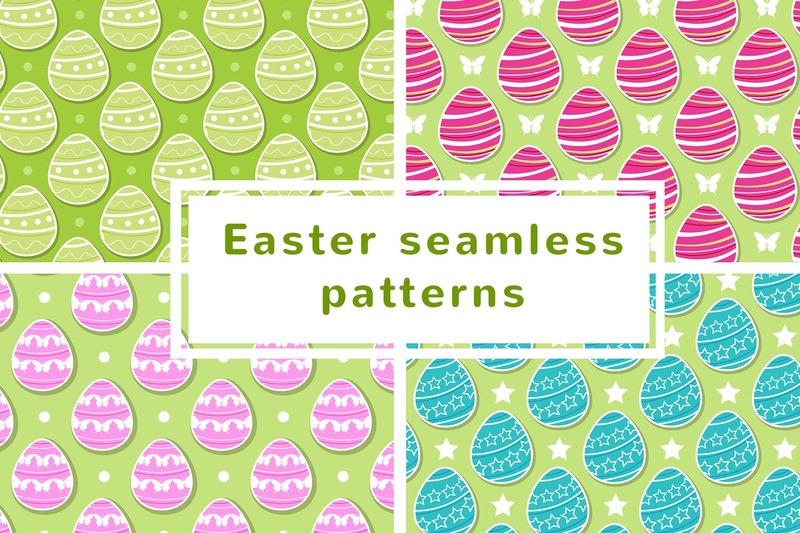 Set of 4 abstract seamless patterns with decorative eggs for Easter. They are fully editable (through Adobe Illustrator) and you can also easily change the colors to suit all your projects! Use them as backgrounds for branding projects, packaging, fashion apparel, posters, printables or just try them as web backgrounds with great results! We’re for fascination, so you may discover 6 different palettes with 4 patterns for each of them – just pick up the one you starve for. 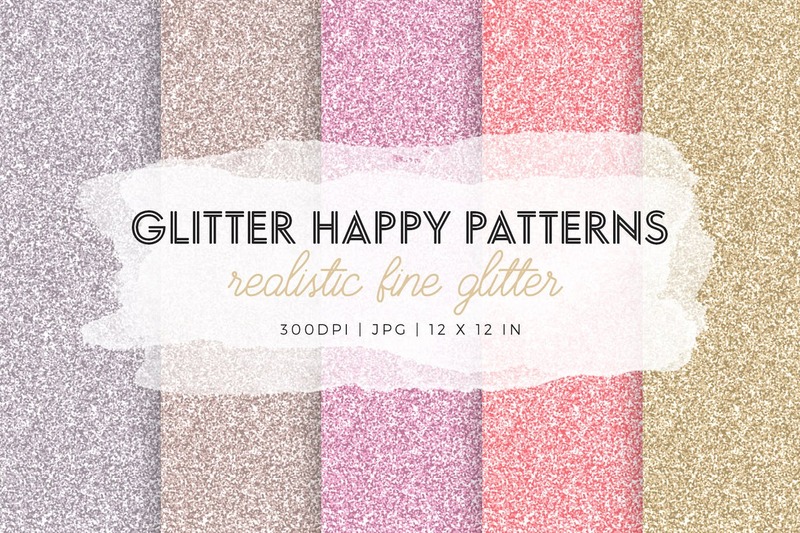 Glitter Happy Patterns | Realistic high resolution Non-seamless extra fine glitter 12″x12″ pattern papers. Tileable vectors with a Spring Forest freshness, they will give your projects a natural feel as they are all unique and handdrawn! You can be creative with colors and sizes with these all vector graphics, they can be edited and scaled up with no loss in quality! 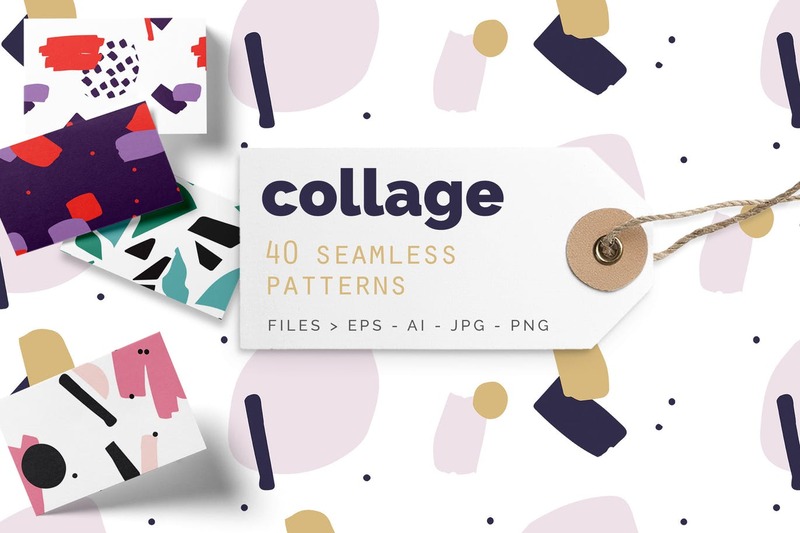 This collection contains 20 seamless vector patterns. 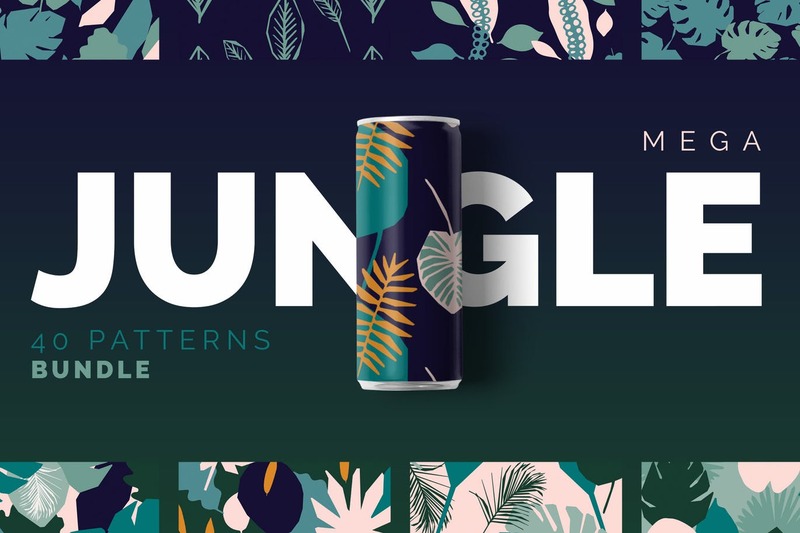 Improve your design project with these patterns. Useful to decorate web designs (banners, backgrounds) as well as print designs (cards, wrapping paper) or textile (t-shirts, cushions), etc. 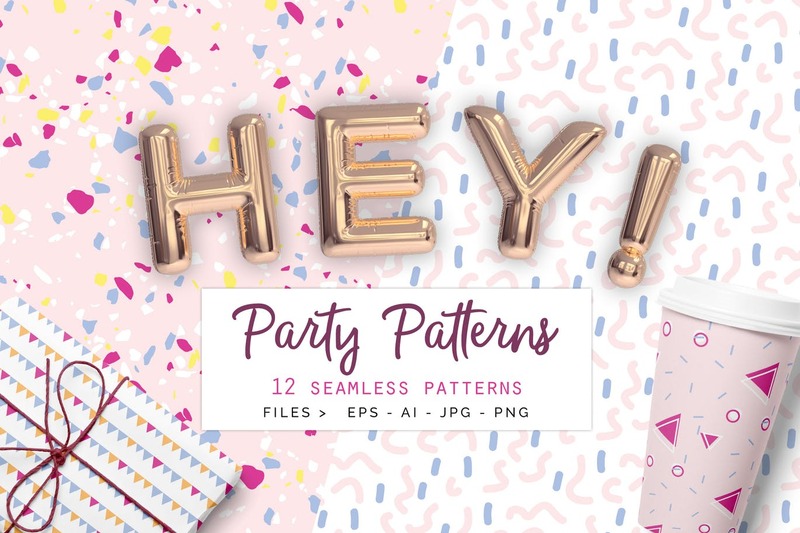 Indeed, 20 patterns embrace 4 beautiful palettes, perfect for all kinds of artworks you’re for – printed production, textile, web, branding, and accessories design. 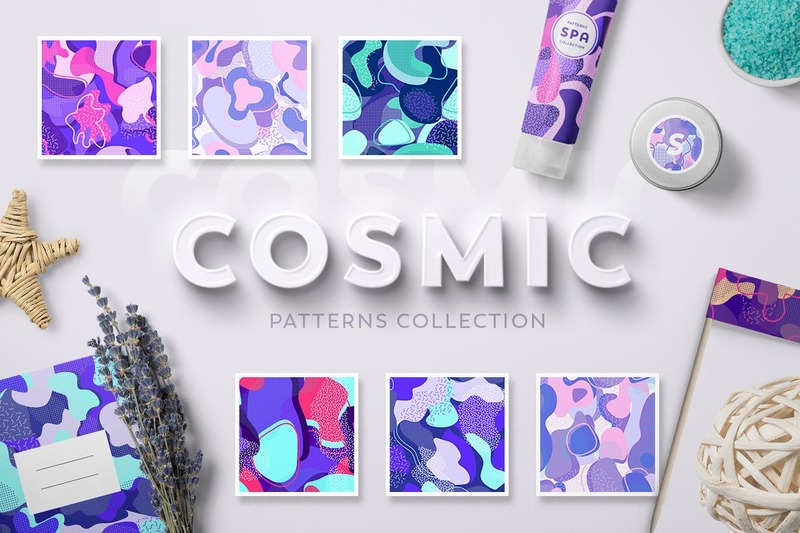 Abstract swashes, strokes, and shapes follow the latest trends to bring you high-quality abstractionism. 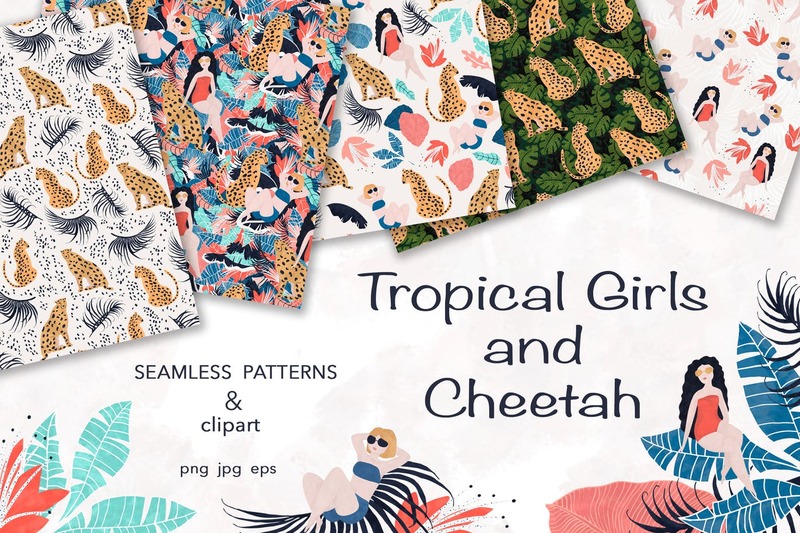 Tropical Girls and Cheetah. A fun hand-drawn graphic and clipart pack that’s ready to create your DIY projects, wall arts, invitations, greeting cards, fabric, packaging and more. Our new vector watercolor patterns combine the beauty and hand-mastered feel with versatility and value of vector-based assets! 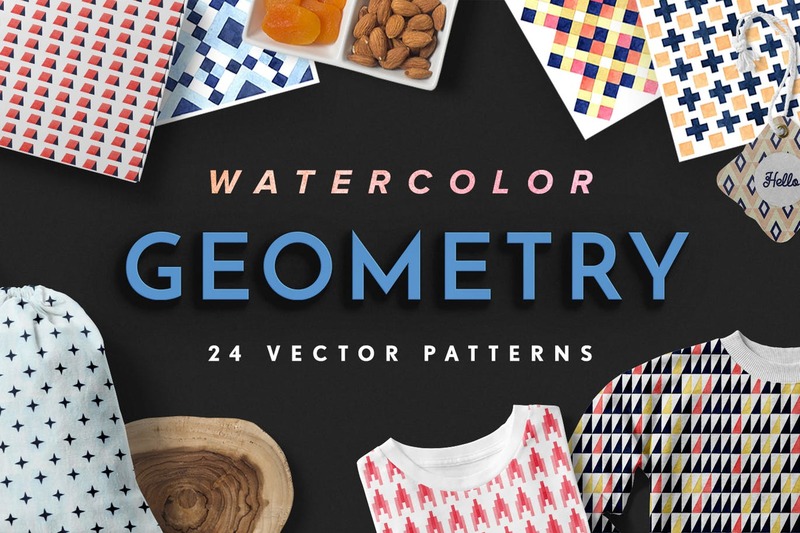 Meet the Geometry Watercolor Patterns, a set of 24 vibrant seamless patterns perfect for packaging design, branding, wedding & invitation cards, apparel, scrapbooking, home decor (pillows, towels, etc. ), fashion and more. We thank our friend and an outstanding watercolor artist, Daria Vinokurova for being part of our creative team for this project. 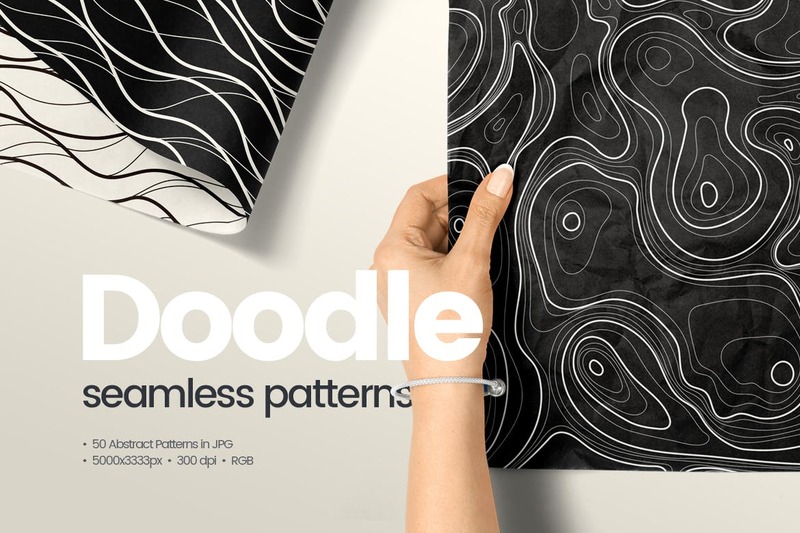 Presenting a collection of manually tileable line patterns in several flavors and variations so you have a variety to choose from to find the perfect fit for your project. These illustrations offer a natural imperfect flavor due to their hand illustrated process. 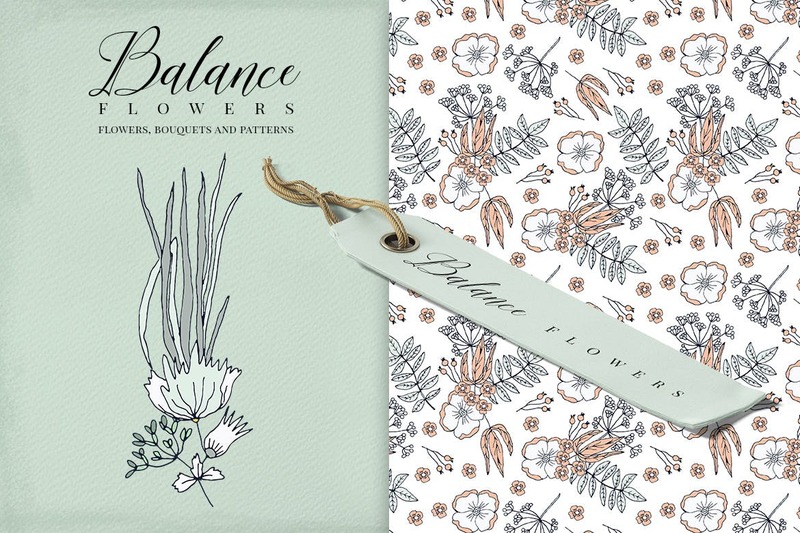 There are Balance Flowers – png, jpg and eps files. Ideal cliparts graphic for DIY projects, invitations, cards, wedding invitations, greeting cards, logos, cases, print design, branding, packaging, posters, wallart, blogs, website, adverstising and more. 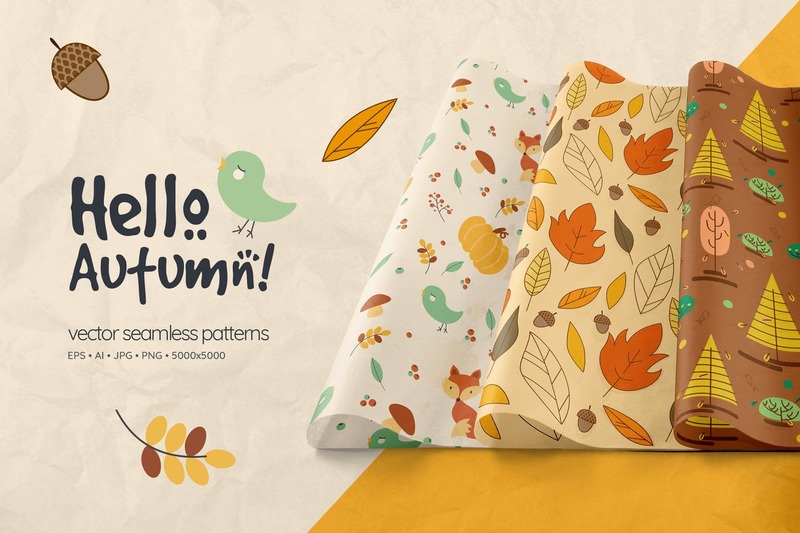 This pack contains 3 vectors of autumn seamless patterns for your projects. 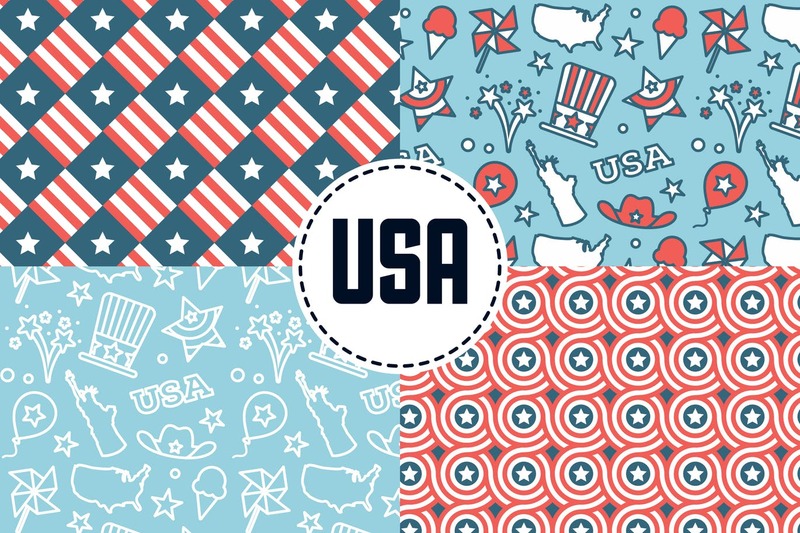 You can use these backgrounds for different purposes. It can approach your website, application or a desktop wallpaper. 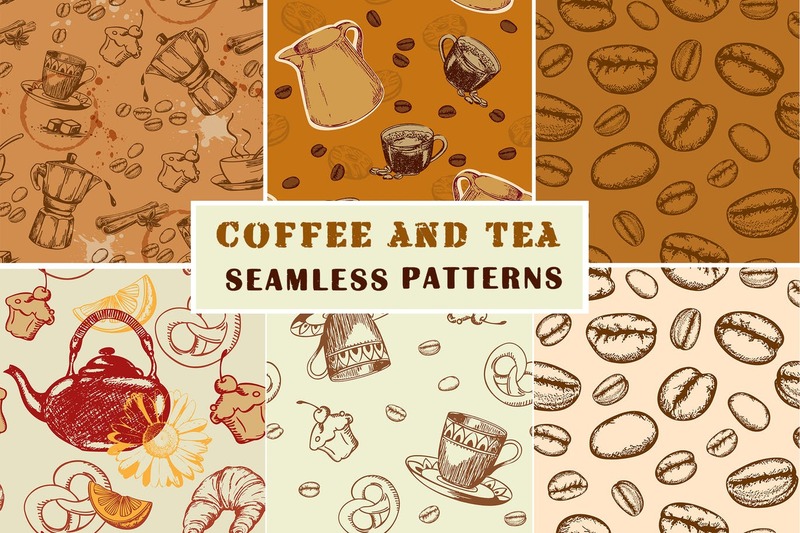 Set of 6 hand drawn vintage seamless patterns with coffe and tea. 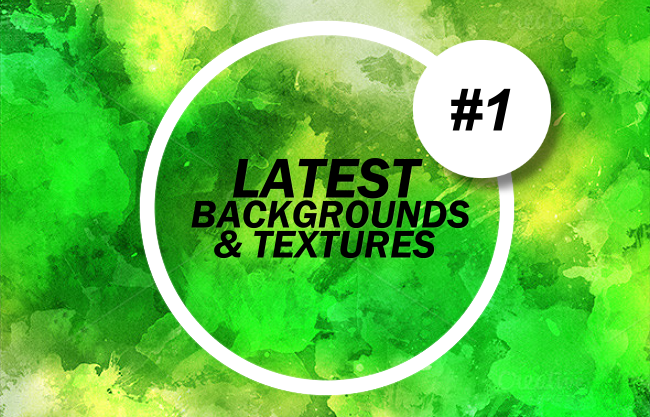 This pack contains 50 jpg of abstract doodle seamless patterns / backgrounds for your projects. You can use these backgrounds for the different purpose. It can approach your website, application or a desktop wallpaper. 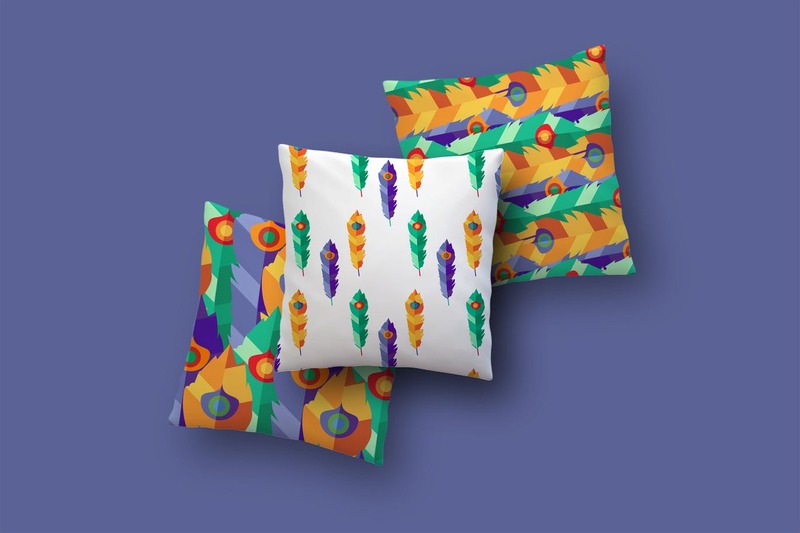 This pattern package above is designed with professional approach in Adobe Illustrator. The source files are easy to edit (colors/arrangement/size). 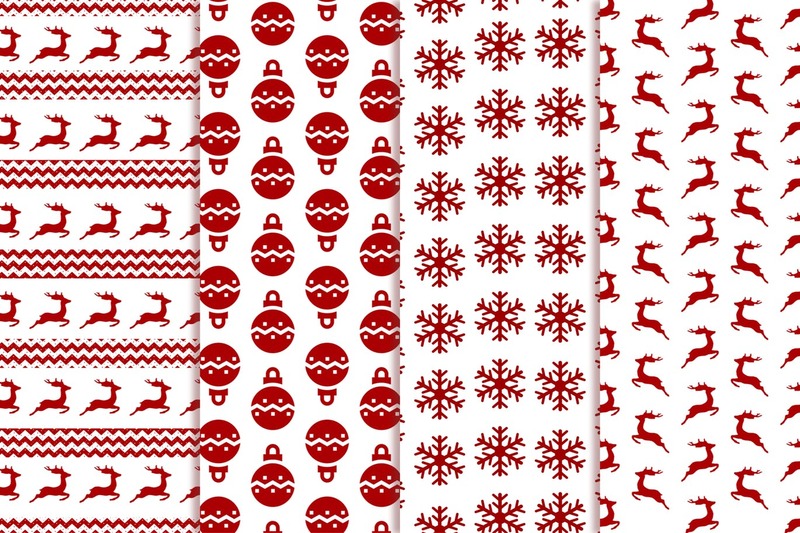 4 Christmas Seamless Patterns in AI, EPS and Png Files. 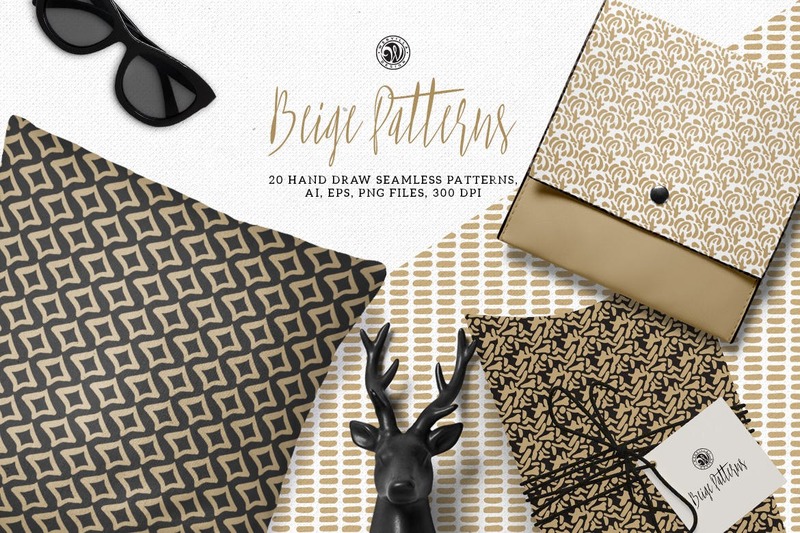 Beige Patterns Collection – ai, eps swatches and png files with transparent backgrounds. Ideal for invitations, cards, DIY projects, cases, print design, branding, packaging, wallpaper.